Am I ready to take Latin 2? Students taking Latin 2 should have completed Latin 1 or an equivalent course. Students should be able to read and write at a 10th grade level. 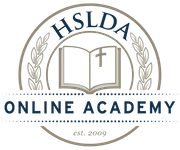 In HSLDA Online Academy's Latin 1 course, students learn all the concepts covered in chapters 1–20 of Wheelock's Latin.